HQ: San Francisco, Ca, U.S. 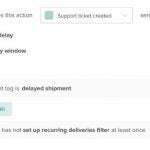 Inexpensive, simple ticketing and call desk tools for growing businesses. 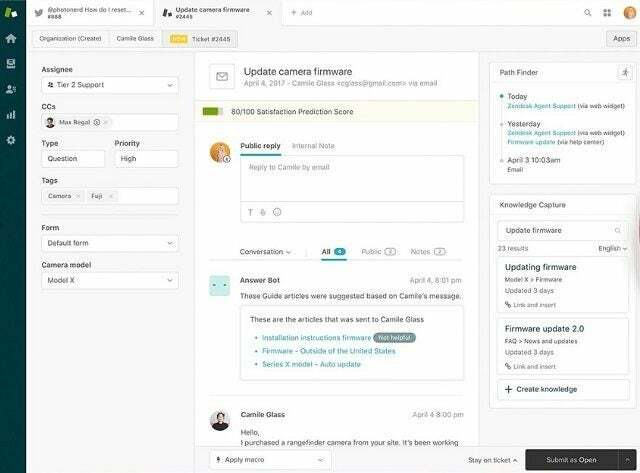 Originally focused on support ticketing and customer call service, Zendesk has grown to a full CRM solution. Launched in 2007, it now has offices across the globe. The company has established a strong suite of services that complement each other and can be bundled under the same platform, starting at very competitive pricing. While Zendesk CRM services do not fulfil every function of a traditional CRM, any missing features can be supplemented through third-party integrations on Zendesk Sunshine, the service’s flexible developer platform. Zendesk provides the full services of a traditional CRM, but it also offers a suite of support apps that each allow a business to focus on one function of customer service. These can all be accessed under a single user interface, for businesses that choose to bundle multiple Zendesk services. Notably, the Enterprise price plan includes Zendesk Sunshine, the company’s developer platform, which can serve as a complete CRM. Likely as a result of this segmented suite of services, Zendesk apps are easy to integrate with other CRM tools, such as Salesforce, or web apps including SurveyMonkey and MailChimp. The raft of Zendesk CRM services includes Support, Guide, Chat, Talk, and Connect. The first four are sold together as a bundled suite that provides a basic customer support network for a business. 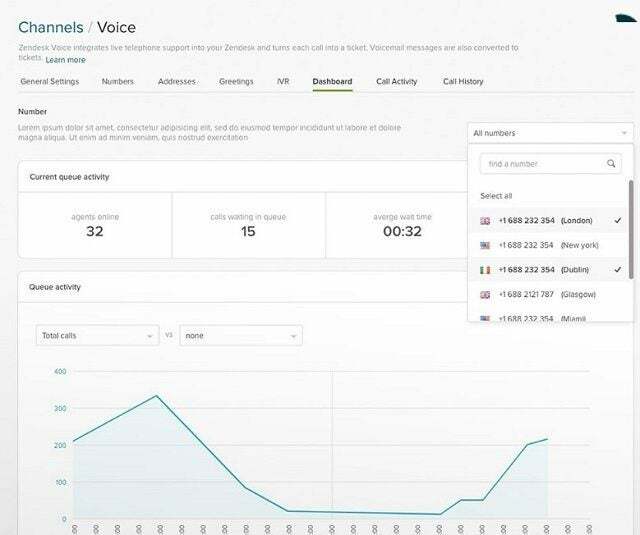 This suite helps the business manage support tickets and talk to customers in real time with a messaging app and telephone, or through an AI. This review doesn’t cover all the apps, but does take a look at the features of the five main apps and the Sunshine platform, as well as the support and pricing options available from Zendesk. Let’s take a look at how Zendesk stacks up against other CRM services in this helpful table that outlines features and payment plans. The Support service is a software solution for managing a business’s customer support tickets. It allows agents to create, prioritize, and track tickets from a single interface that meets customers wherever they are. Reporting and Analytics — Agents can track and manage metrics including tickets, response times, and customer satisfaction. Email — Support integrates easily with agents’ inboxes. Facebook and Twitter — Customer interactions over these social networks can be quickly turned into tickets. Web Widget — Businesses can embed a widget in their site to send an alert, prompt a live chat (if using the Chat service), or guide customers to a help center (if using Guide). Mobile app — Support is available on Android or iOS mobile apps. Multi-language interface — Agents can operate on Support in 28 different languages. Device data log — Automatically log which device or app version a customer is using. Integrations — Popular CRM solutions that can be integrated include Salesforce, HubSpot and Zoho. Security — Two-factor authentication, SSL encryption, and digitally signed emails are standard. The Support service is the backbone of what Zendesk has to offer: Purchase a Support plan, and you’ll get Lite versions of Guide, Chat and Talk as well. Purchase the Suite, and you’ll get a bundle of all four. Whatever the choice, a business interested in Zendesk’s CRM tools is likely to start with Support. These services all help businesses fulfil tickets in additional mediums: Guide enables help centers, Chat enables messaging widgets, and Talk enables telephone call support. Guide — This service helps businesses build a customized knowledge base for their agents and/or their customers. Chat — This service lets agents chat with customers through a website widget. Integrations — The chat widget can be conencted to WordPress, Shopify, Salesforce or JIRA. Chat history — Chat logs only last 14 days on Chat Lite, but are unlimited on every other tier of Chat’s service plans. Talk — This service helps businesses create online call centers built into Zendesk. Local or toll-free numbers — chose a number or port in an existing one. Answer in browser — Agents can take inbound or make outbound calls from within the Zendesk interface. These features are all available in Lite versions, but can be more readily customized with fewer limitations by businesses that buy Professional or Enterprise service plans. Customized emails — Connect can craft better welcome emails by tailoring them to match individual customer’s histories. Pop-ups — If customers tend to get stuck at certain spots on the onboarding process, agents can set up helpful explaining pop-ups from within Connect. Integration — Connect’s segmentation allows agents to trigger workflows in a third-party system when needed. A business can add as many users to a Connect account as they want without paying more, since the price for Connect depends entirely on the number of users that a business sends messages to per month. If a business has Connect but hasn’t sent any messages, they won’t be charged. 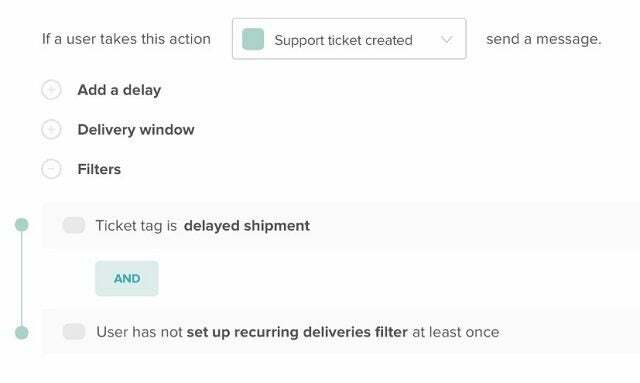 This video covers an overview of Zendesk’s products: The goal, quickly fulfilling customer tickets, is achieved through software designed to locate customers across a range of platforms, prioritize the right tickets, and enable agents to respond to multiple tickets at a time. Zendesk Sunshine is Zendesk’s in-house developer platform. It’s built on the Amazon Web Services cloud, and available to users of Zendesk’s Enterprise plan tier or higher. 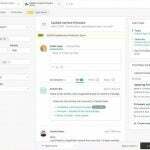 Sunshine allows users to access all of the different Zendesk applications they are subscribed to, and has an open API that allows them to easily send or receive data from any third-party or custom integrations. In addition, it comes with a few CRM-specific features of its own: The “Events” feature tracks customer activity in a timeline, and the “Profiles” feature pulls information from disparate sources together to form a database of individual customer profiles. Sunshine was only launched in November 2018, but it builds on Zendesk’s successes with customer service and customer relationship tools, serving as a single platform that can pull them all together. Zendesk offers an online library of resources, as well as free live monthly webinars discussing the latest updates. The company also offers live in-person events on occasion, ranging from training days to meet-and-greets to “Relate,” an annual global user conference. However, Zendesk’s customer support options for its lowest tiers are limited: A self-service help center is available to anyone, but email, phone, and chat support options are only offered on more higher tier service plans. The Professional Zendesk Suite, which bundles Support, Guide, Chat, and Talk, is available for $89/month/user, billed annually. An Enterprise version of the same suite, which includes Zendesk Sunshine, greater customization, AI-powered predictions, and 24/7 support, is priced at $149/month/user, billed annually. Monthly payment options are available for an additional $30/user/month for both plans. Zendesk Support, the most commonly used single-serving app, is available starting at just $5/user/month billed annually (or $9/user/month if billed monthly) and comes in four additional plans priced at $19, $49, $99, and $199/user/month, respectively. All Zendesk Support plans include Lite versions of Guide, Chat, and Talk for free. 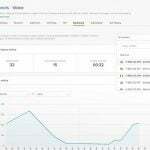 Pricing for Zendesk Connect depends on the number of users your business will message each month, but charges $153/month for 2,000 users, billed annually. Businesses can sign up for a free trial of the Zendesk Suite or the Professional Zendesk Support plan, and Connect will be free for the first 14 days. Zendesk is a recommended CRM. A business might want to try just the Support or Talk service at first, slowly upgrading to the Enterprise plan’s full CRM platform as they grow. This flexibility, combined with the company’s low initial price points, makes Zendesk an attractive choice for small businesses with growth in their future. to other leading CRM software providers.